Interfacing will empower your organization to efficiently govern your business complexity and continuous transformation through process based quality, performance and compliance management solutions. Enterprise Process Center® (EPC) facilitates organizations to be proactive vs. reactive when it comes to risk control and process risk management strategies. Not only is risk management important to protect against disaster striking, but by integrating controls into daily operations you can ensure that quality standards are met and customer satisfaction is maintained. Additionally, there is nothing greater than the cost of “non-compliance”, hence, comprehensive risk and process transparency is a necessity to comply with laws and regulatory requirements such as Sarbanes Oxley, Basel III, IMF, HIPPA, FDA, ISO 15000, among others. EPC offers within a single collaborative platform an area where analysts can identify, assess and prioritize risk mitigation plans, and auditors can schedule then execute control audits and implement corrective action plans based on test results. Furthermore, by identifying key risk and control indicators and quantifying threshold limits; management can monitor measures to ensure policies are enforced and standards are maintained. Risks of all levels can be documented, organized into library structures and communicated to stakeholders via the EPC. 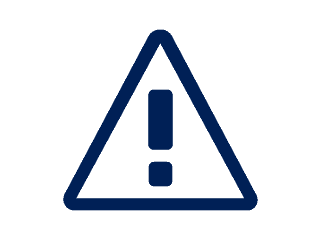 Users are able to capture not only the name of the risk, but just as importantly all of its details, such as identifier(ID), description, type, category as well as responsible (RASCI-VS) resources. Risk attributes can be extended to include custom properties that may be specific to your industry, compliance and/or local laws. All risk details can be import/exported to excel as well as filtered and reported on by attribute. Analysts can indicate how likely certain risks are to occur as well as their impact on their organization. From this, risks are given a gross score for comparison and mitigation prioritization purposes. Risk priority levels readjust according to the controls that mitigate them. 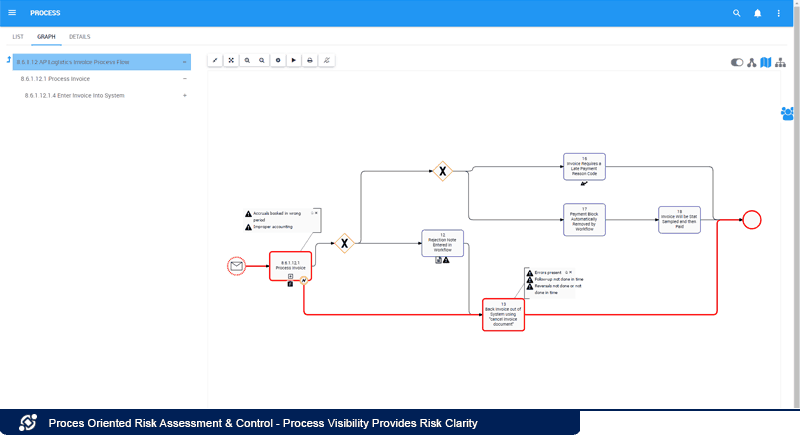 Users can edit gross risk per process and net risk per control on process, add specific controls per process, and override roll-up calculation per process. This provides users with a realistic view of the residual risk once one or many controls have been implemented. Organizations have the ability to adapt the EPC’s risk matrices according to their specific risk appetite. This includes everything from risk likelihood, impact, score, percentage, color and priority. Macro risks can be decomposed into more targeted and manageable micro risks; risks that are specific to organizational units, processes, tasks or procedures. This makes them easier to identify, monitor and measure. Identifying what and where a risk resides within the organization can often be extremely challenging. EPC offers risk analysts and auditors with clear end-to-end process visibility which in-turn simplifies the vexing effort of risk identification and evaluation. Organizations can asses and document the severity of the same risk’s potential impact and likelihood based on individual tasks’ and/or processes. Process and task individual gross and residual risk evaluation allows the organization to integrate risk control strategies into daily operations and adjust control levels based on risk appetite vs. control cost analysis. 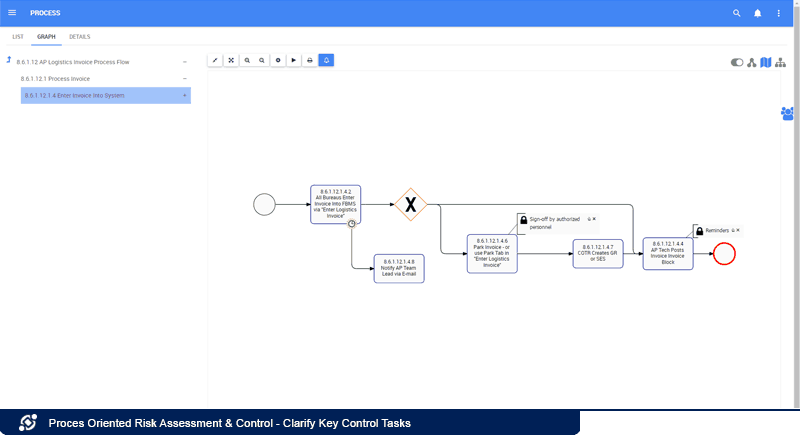 A documented control brings no value to the organization if employees are not communicated the specifics of when and how to conduct such control. Control is not just for compliance; the EPC integrates the control as part of the business process, clarifying and communicating the objective, importance and procedure to implement such control to those responsible across the organization. Employees that better understand why actions are performed ensures consistent execution of otherwise inefficient or redundant tasks at times. 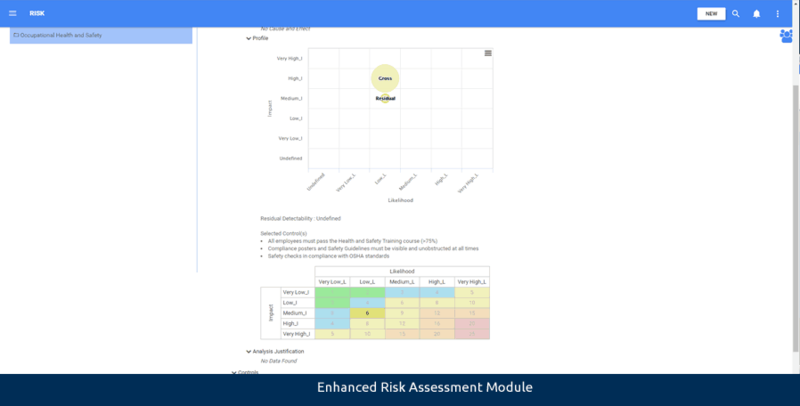 The all-inclusive Risk module allows users to analyze, quantify, and manage risks, as well as to plan corrective and preventive actions (CAPA) accordingly. In this tab, users can: input the causes & effects of the risks, edit gross risk to assess impacts of risks, assign controls to risks to tie risks to processes, edit residual risk and override roll-up calculation to determine real life impact of risks after relevant mitigation. Besides risk assessment, the EPC provides users with the ability to analyze the relationship that risks have with controls and processes. 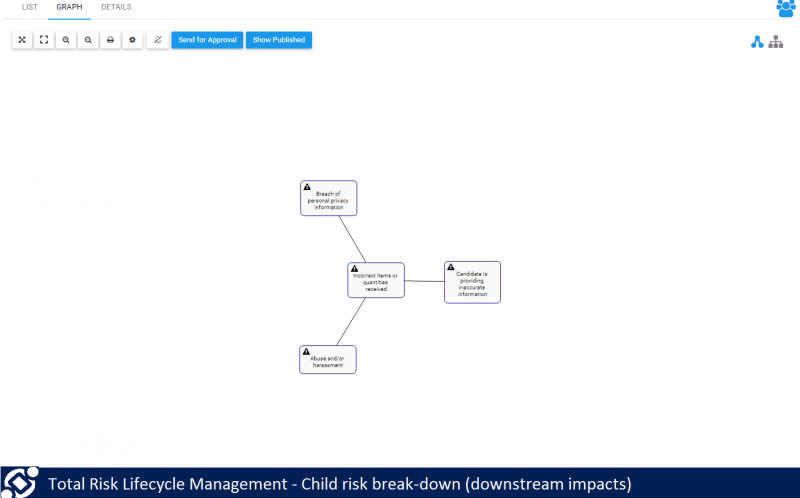 Users can associate risks to processes by assigning controls directly to risks, which will in return allow users to mitigate how the risks affect the organization. Users save time and the risk of redundancy because a single risk and control can be modeled onto several objects simultaneously. This avoids the risk of lost energy, time and money when repeatedly evaluating different instances of the same risk or control. Often control strategies and action plans are implemented to mitigate underlying risks. However, in many cases, the control that mitigates such risk is actually in a different process across, even conducted by a different business unit. By clarifying which processes and tasks are controls that mitigate risks, analysts have the knowledge required to know not to remove a specific task even if it improves the process because the cost of the task is far less than the cost of the potential risk occurrence. 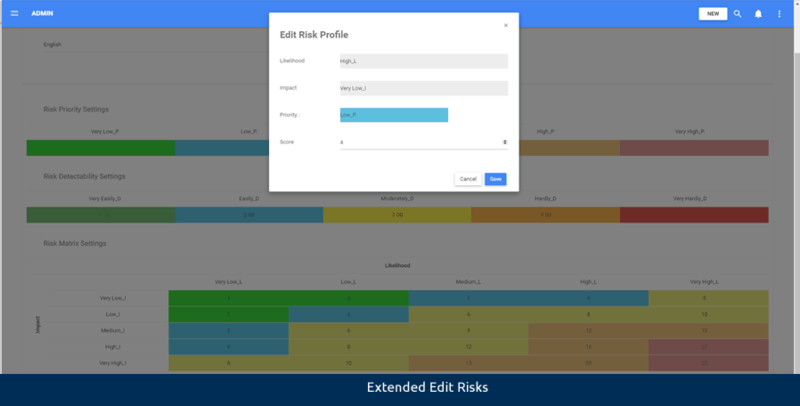 Our risk editing feature allows users to edit gross risk per process and net risk per control on process, add specific controls per process, and override roll-up calculation per process. 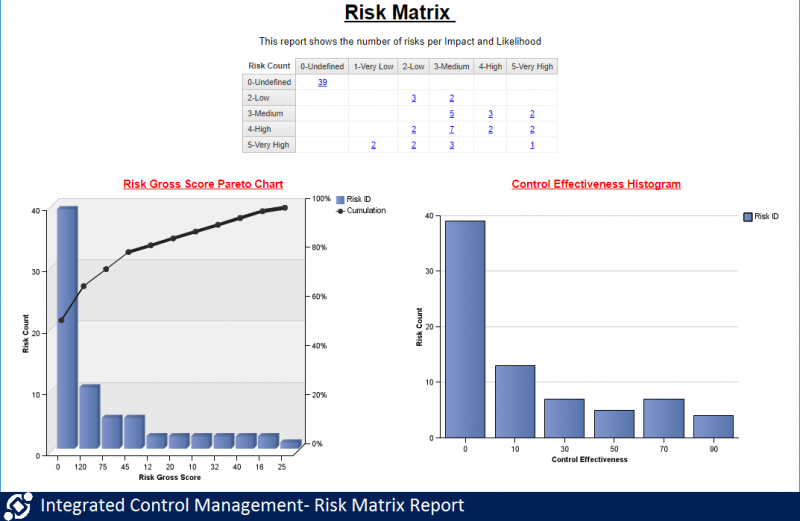 After assigning controls to risks, users can get an automatic risk roll-up score generated by the EPC. 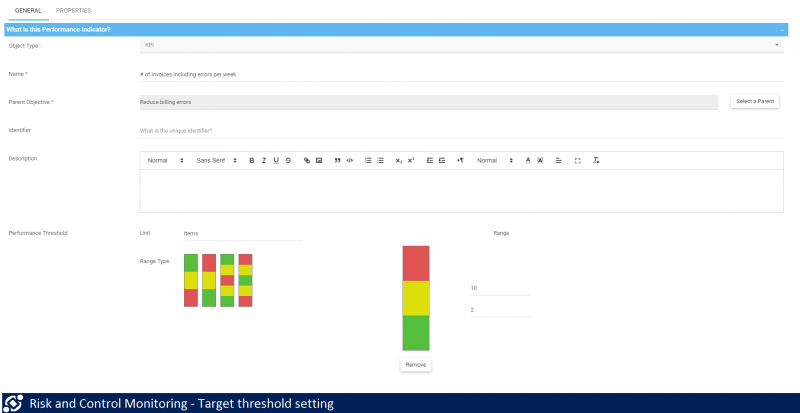 Our algorithm will generate a priority score, a new score for the control, a % of gross score, and an updated residual risk score, making the EPC a more powerful risk scoring and analytic risk management tool for your organization. Furthermore, the EPC includes detectability variables to risk calculation and net risk roll-up control score in order to better reflect the impact of risks and understand the relationships between risks and processes. Using detectability to produce a 3-dimentional score is not mandatory but will further enhance your assessment to risks. 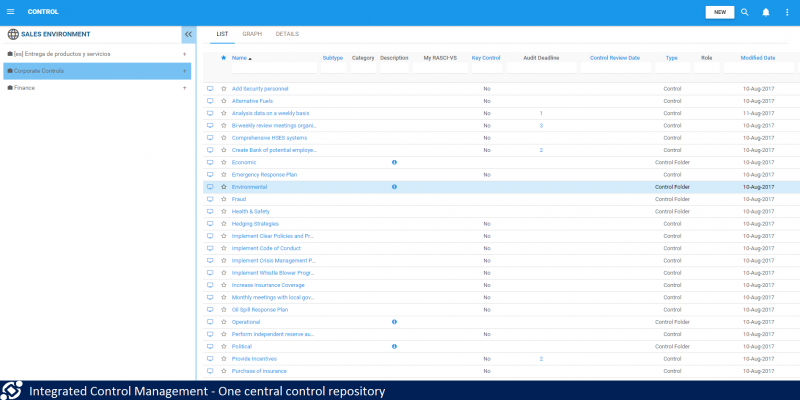 As controls can range from physical to IT based measures and procedures, it can be sometimes difficult to hold them within one repository. The EPC can display, classify and associate controls to consolidate risk, quality and compliance management practices within a single system. Business rules can be put in place for countless reasons, such as keeping a competitive advantage or following regulatory requirements. Controls can also be set to ensure that these are respected and followed. Analysts can indicate how often the control is executed, whether it is preventive or detective, performed manually or automatically, and more. Organizations can monitor their controls through audits. The EPC can serve as a repository to help management document audit test plans, set recurrent audit schedules, evaluate their results, and implement corrective & preventive actions. The EPC can serve as a way to document each COSO component being attended to at the necessary level to reach a certain degree of strategic, operational, reporting and/or compliance alignment. This is especially relevant to finance-oriented enterprises seeking to reach or maintain Sarbanes-Oxley or Basel III compliance. Reports can be extracted from the EPC to evaluate each control’s effectiveness at maintaining a certain standard. 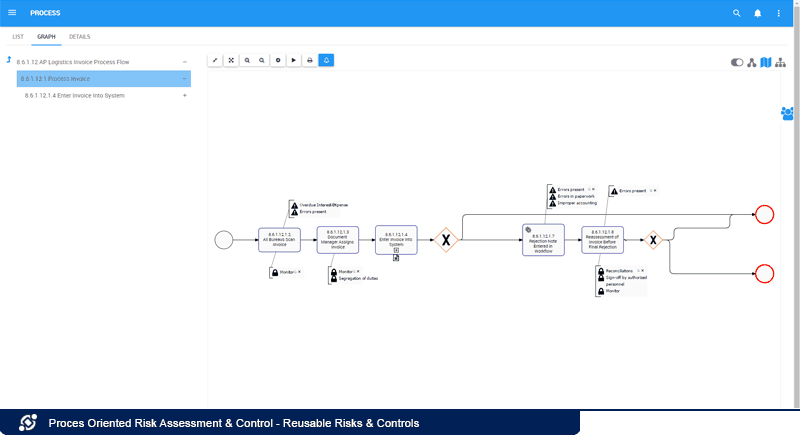 Process analysis reports are generated in a dynamic manner from either data for all flow-objects within a process (general report), or information from selected flow-objects within a process (custom report). The report contains general analysis, critical path analysis, and high risk path analysis, ensuring users have critical information to oversee effectiveness, plan future improvements, and make smarter decisions for better outcomes. Risks and controls can be better managed by associating both qualitative and quantitative measures to them. Process Risk Management can use more than one source to detect risks, ensure that rules are followed and assess risk control effectiveness. 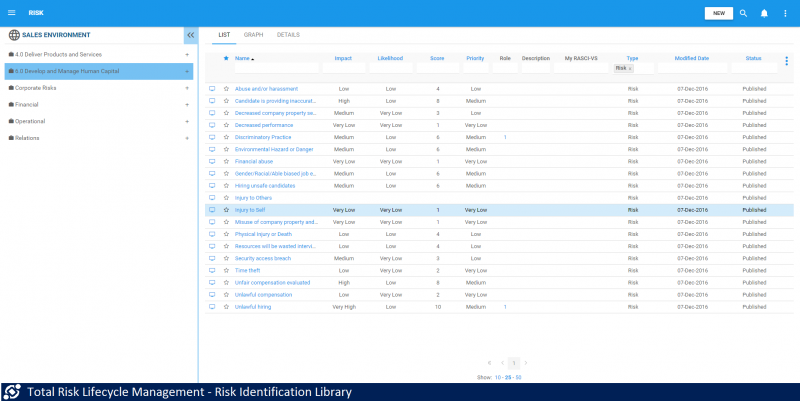 Users can compile related risk and control indicators into one section. These containers can be marked as an objective that must be attained. 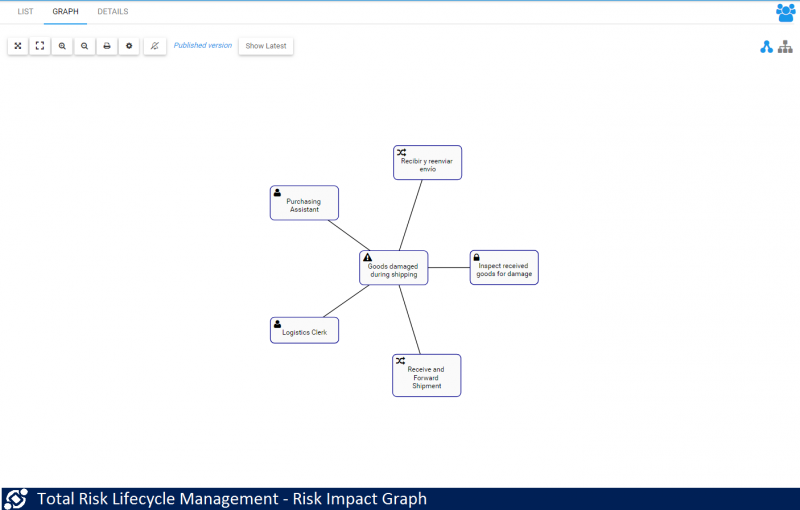 As risk and control indicators can be either high or low level measurements, their significance can be interpreted and visualized through a hierarchy diagram. The EPC supports users to add “My Risk Chart” widget directly in the homepage. 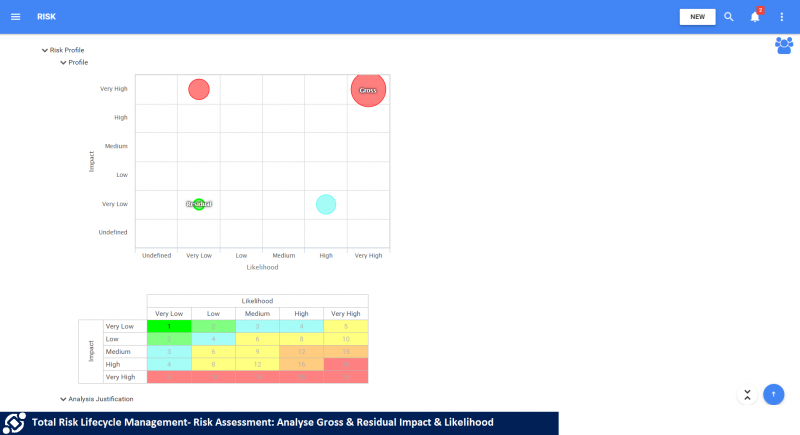 By visualizing the proportion of five different levels of risks reside in processes via a pie chart, the EPC also provides clickable details of percentage of gross risk for each level of risk. This will instill the importance of risk control in end-users’ everyday activities, as well as offer better insights in terms of risk impact, risk evaluation and risk management. 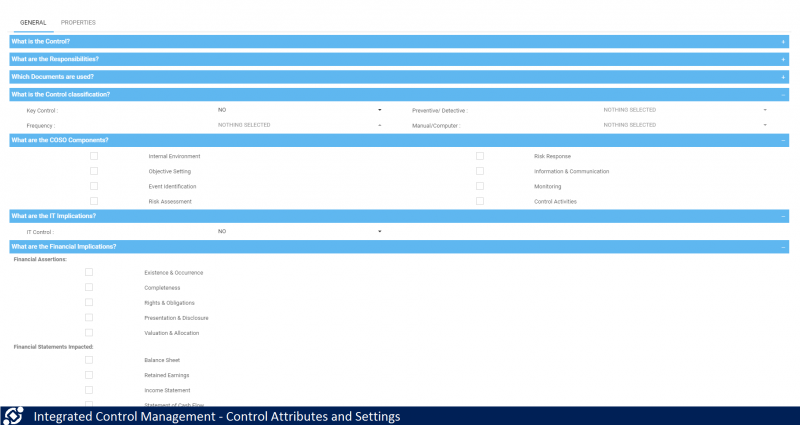 Users can set control limits to evaluate whether a measure is within an acceptable range or not. Through this, they can know exactly when a certain action is required to rectify an issue. Analysts can also include which assets the measurement data is to be extracted from.